It's almost spring! 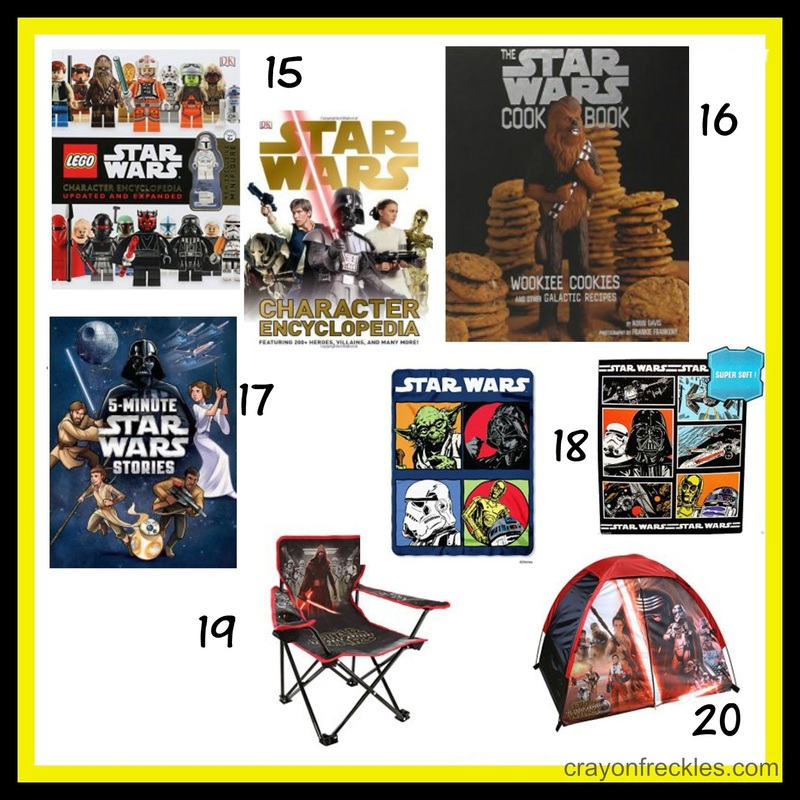 I just can't hold off any longer on sharing some great spring activities with you. And what's more spring-y than rainbows? 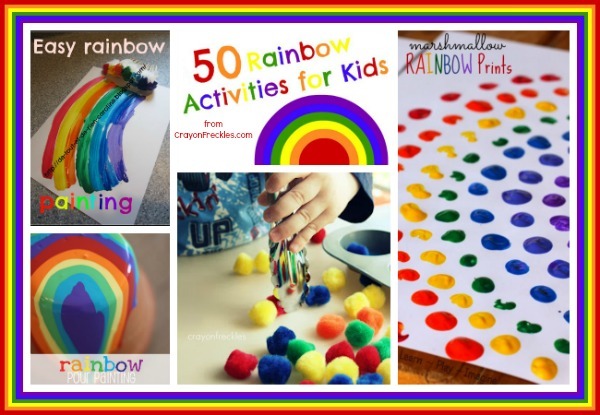 So here are 50 rainbow activities for kids from some of my favorite blogs for you and your kiddos to try out. 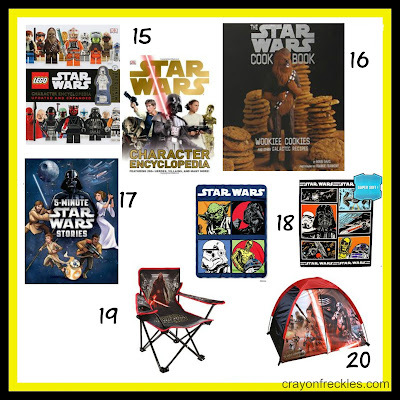 I've broken them down for you based on what type of activity they are. Mix up your own rainbow flour paint using this recipe from Learn Play Imagine. 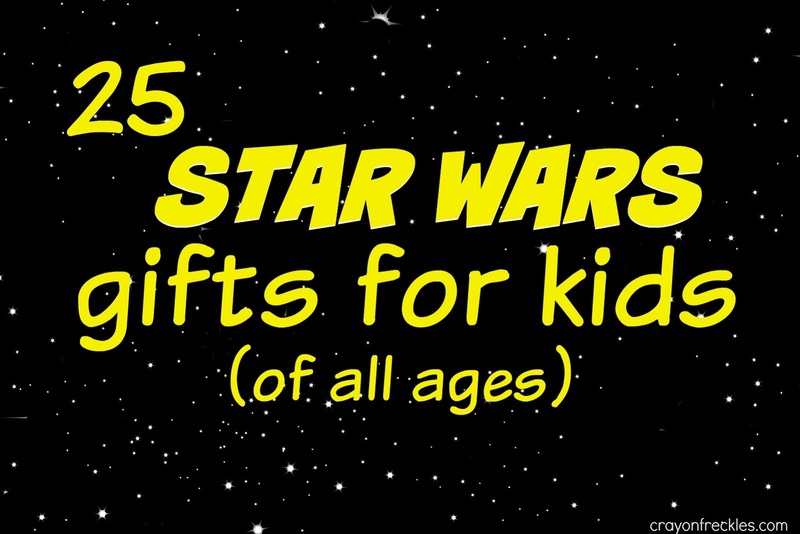 Make rainbows with cotton balls like Fireflies and Mudpies. Create a coffee filter color wheel inspired by this one at Pink and Green Mama. Recycle and create something egg carton rainbows like Creative Family Fun. Brighten up your space with rainbow window art from hands on: as we grow. Grab the broken crayons and make these rainbow alphabet crayons from The Imagination Tree. Create Rainbow Pour Pots using this technique from Dilly Dali Art. Add a little science into your art time with this Rainbow Resist Art from Learn Play Imagine. Punch up your walls with some confetti rainbow art inspired by Rainy Day Mum. Make rainbow ice paintings using everyday items like these from JDaniel4's Mom. 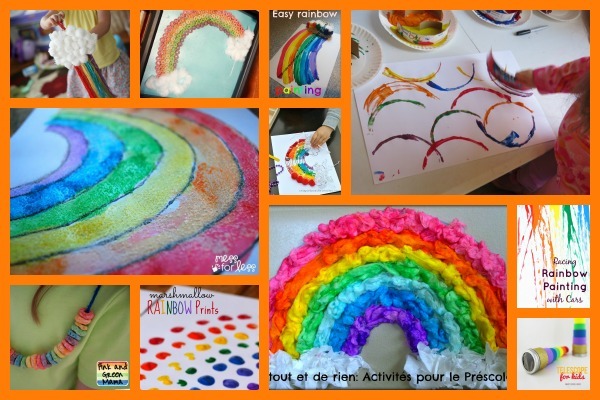 Create colorful rainbows using this method for rainbow sponge painting from Teach Preschool. Use cotton balls and ribbon to create this rainbow craft inspired by Pint Sized Treasures. Turn snack time into art time with these Fruity Os Rainbows from hands on: as we grow. 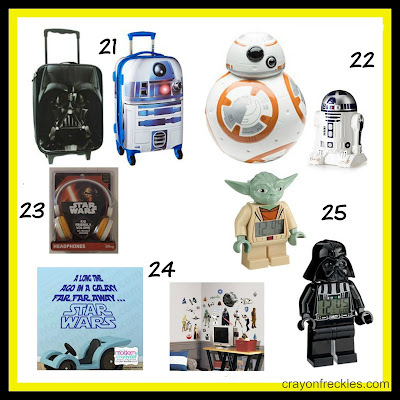 Make a rainbow sensory collage with this printable from Crayon Box Chronicles. Create abstract rainbow paintings using this technique from Teach Preschool. Use common items to create neat black glue and salt rainbow paintings inspired by Mess for Less. Make these classic rainbow cereal necklaces from Pink and Green Mama. Have some sweet fun painting with marshmallows like Learn Play Imagine. Create a sticky wall rainbow craft with this technique from De Tout et de Rien. Do a wheely fun art project by rainbow painting with cars like Fantastic Fun and Learning. Craft rainbow telescopes using this tutorial from Smart Schoolhouse. Little ones can practice their color sorting and fine motor skills with our Rainbow Math with tongs. 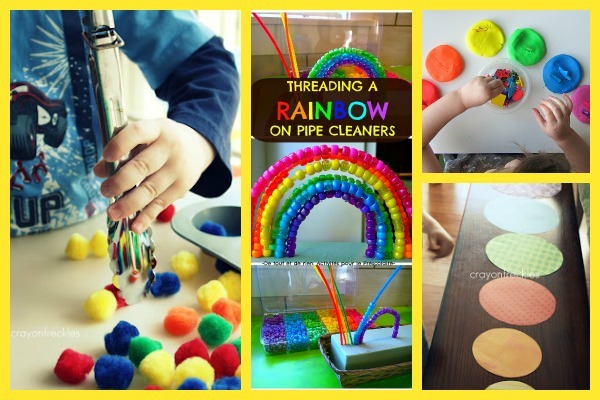 Make Pipe Cleaner & Bead Rainbows and get fine motor skill practice like De Tout et de Rien. This rainbow playdoh color sorting from No Time for Flashcards lets kids practice basic math. Rainbow circle size sorting offers basic math practice with a crafting option at the end. Have mess-free fun with rainbow rice with these rice sensory bags inspired by Learning 4 Kids. It's time for hands-on fun with this taste-safe (no shaving cream) rainbow by Powerful Mothering. Make up a batch of Rainbow Playdough using this recipe at Mama Smiles. Little hands can dig in and explore this rainbow sensory tub from Counting Coconuts. Have some good, clean fun with rainbow soap sensory play inspired by Fun at Home with Kids. Give your kiddos' taste buds a colorful experience with Rainbow Fruit Cups like One Sweet Appetite. 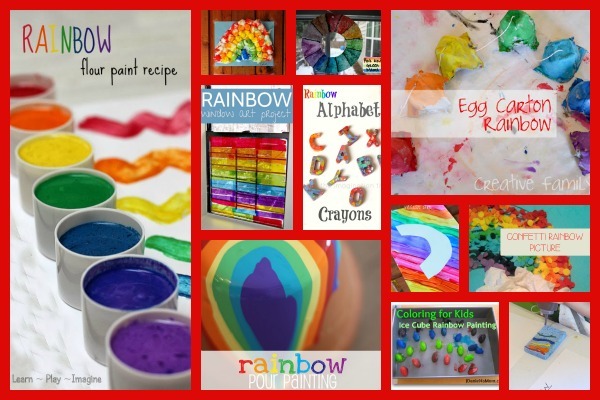 This Rainbow Oobleck from Blog Me Mom is sure to catch the eye of little learners. 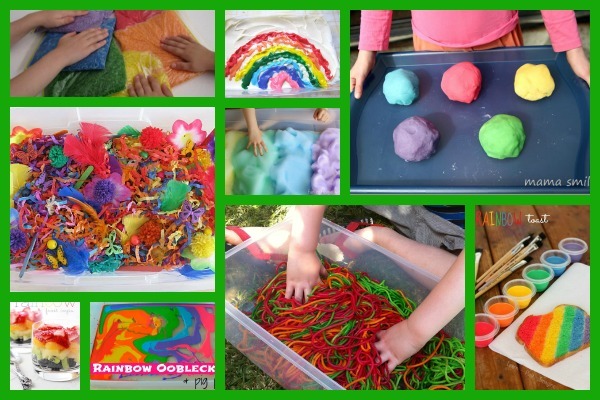 Hands on fun gets stringy with this rainbow spaghetti sensory bin from One Perfect Day. Have a sensory experience for breakfast with rainbow toast from Learn Play Imagine. 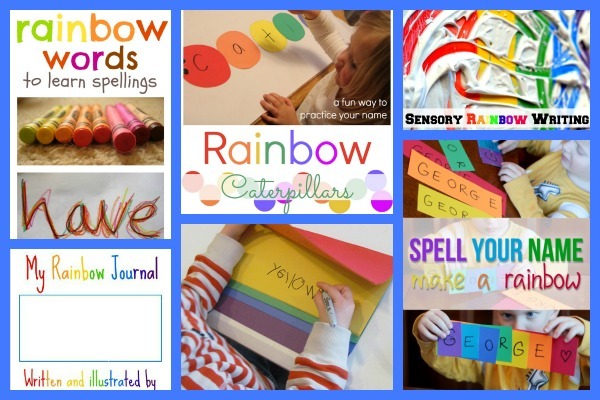 Practice writing in a colorful and fun way with rainbow words inspired by NurtureStore. Go buggy practicing name spelling with these rainbow name caterpillars from Toddler Approved. 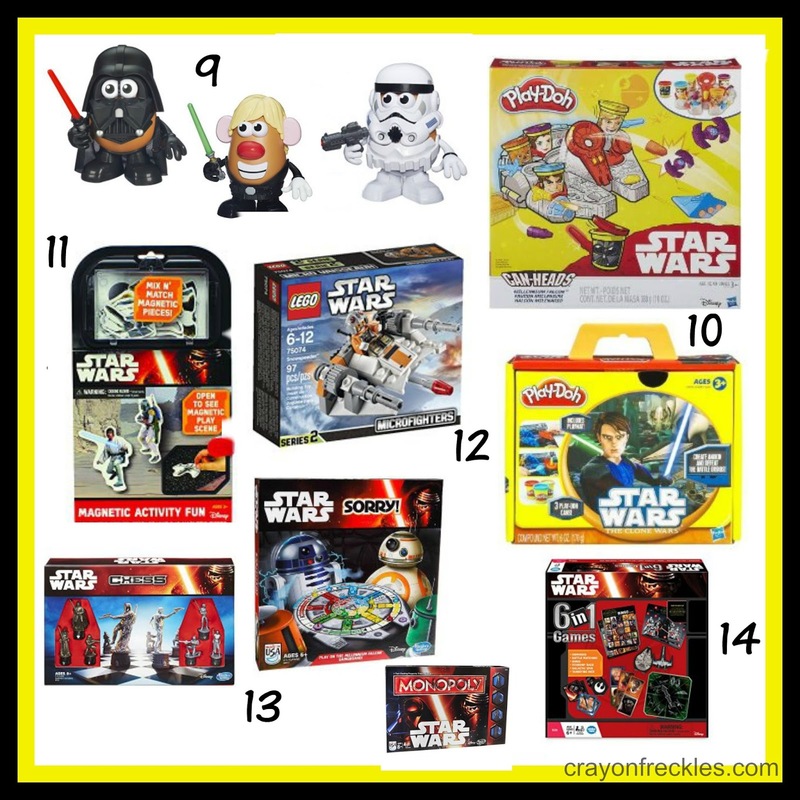 Practice line-making and writing using sensory rainbow writing trays like Blog Me Mom. Let your kids create their a personalized Rainbow Journal with this free printable from NurtureStore. 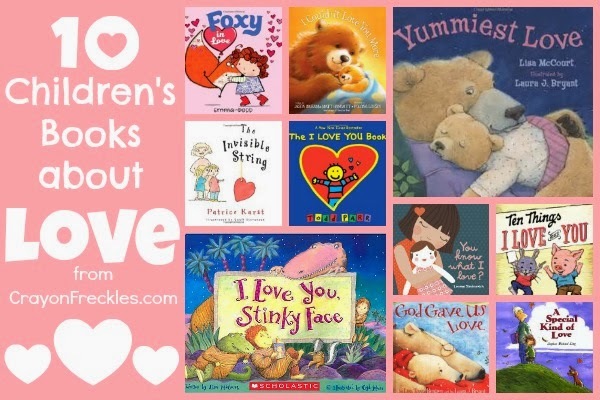 Practice color names with these rainbow reading/writing books from Teach Preschool. Do more name practice with Spell Your Name, Make a Rainbow activity from hands on: as we grow. Make some Rainbow Slime for little hands to explore using this recipe from Learn Play Imagine. 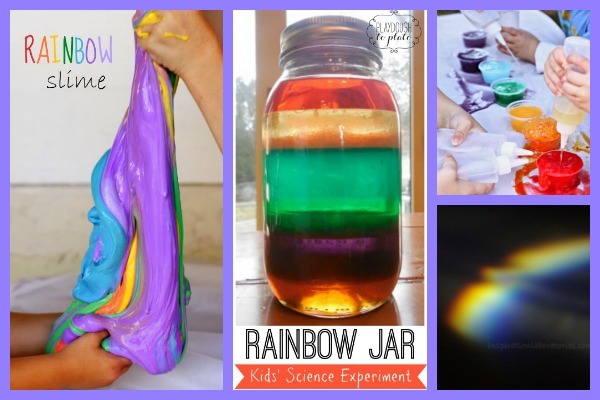 Try out this extremely awesome rainbow jar science experiment from Playdough to Plato. Create rainbow eruptions using household ingredients like Learn Play Imagine. Explore how to make a rainbow with your kids inspired by Inspiration Laboratories. 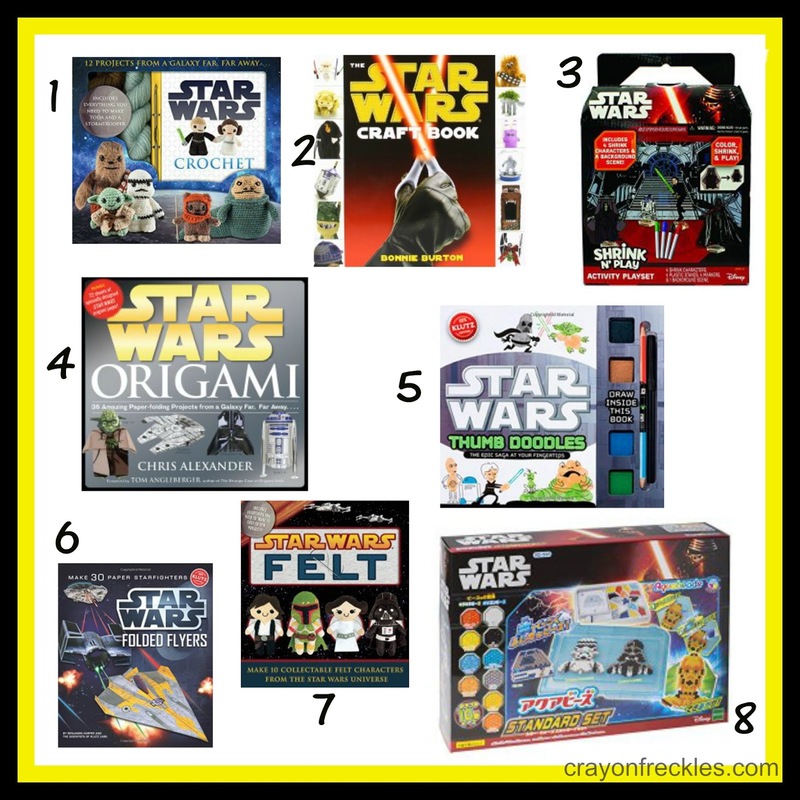 Grab the Duplos and play this awesome Roll a Rainbow game from No Time for Flashcards. Send your kids on a color scavenger hunt around the house. Or make it more physical and play Color Run & Sort from Mummy Musings and Mayhem. 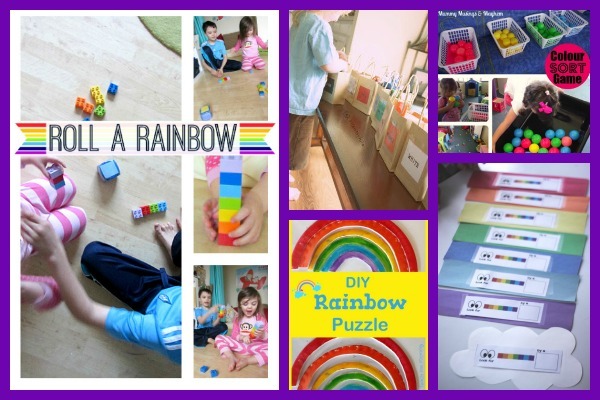 Create your own DIY rainbow puzzle inspired by Teach Me Mommy. Go on a rainbow scavenger hunt using this great free printable from hands on: as we grow.